This book examines youth cultural responses to the political, economic and socio-cultural changes that affected Britain in the aftermath of the Second World War. 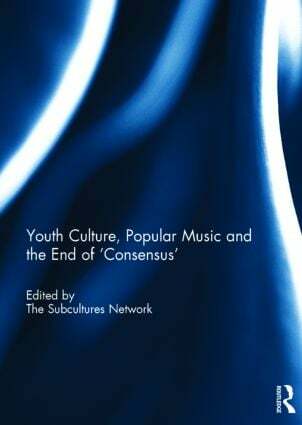 In particular, it considers the extent to which elements of youth culture and popular music served to contest the notion of ‘consensus’ that historians and social commentators have suggested served to frame British polity from the late 1940s into the 1970s. The collection argues that aspects of youth culture appear to have revealed notable fault-lines in and across British society and provided alternative perspectives and reactions to the presumptions of mainstream political and cultural opinion in the period. This, perhaps, was most acute in the period leading up to and after the seemingly pivotal moment of Margaret Thatcher’s election to prime minister in 1979. This book was originally published as a special issue of Contemporary British History. The Subcultures Network is an interdisciplinary network for the study of subcultures, popular music and social change.